I realize that Sizzlean is not bacon per se, but a bacon-like imitation that was supposed to taste like the real thing but was a healthier alternative. Introduced to the masses in 1979, I'm not sure how long it was actually on the shelves. What I remember best about Sizzlean is the television commercial. They made it look so good when it was frying up in the pan, so meaty, so flat and perfect! My mom bought into the hype and I remember trying it as a kid and not being very impressed. 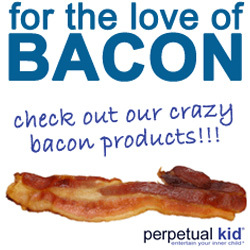 If you remember anything about this product it's probably the tag line, "Move over bacon! Here comes something leaner!" and "Why sizzle fat when you can Sizzlean!" I really wanted to see the commercial again but apparently the only way that will happen is if I buy a $30 dvr of commercials off ebay. Not happening. 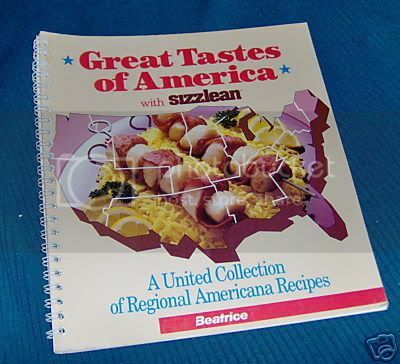 Sizzlean also was an ingredient in many 80's recipes and there's an old cookbook you can sometimes find on ebay. There's a petition you can sign if you're one of the 226+ people that have a hankering for the facon. The most amusing thing I found was on Urban Dictionary. It seems now the word sizzlean is a slang term for police officers who patrol on bicycles. So-called because they are presumably in better shape than their car-cruising brethren. "Hide the piece, man, sizzlean's comin' down the street." 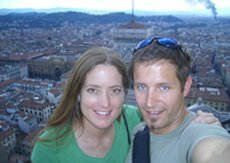 If you have any Sizzlean memories, please leave a comment. If you have the commercial to share I'll send you some bacon luggage tag stickers!